This year Odyssey House will be celebrating 40 years of service and commitment to the community. 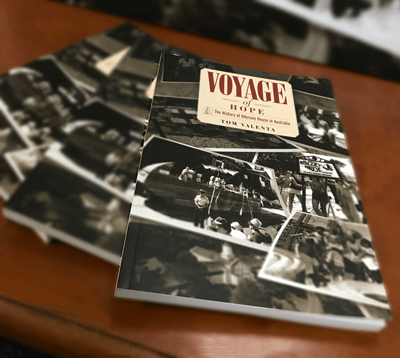 This celebration has coincided with the publication of Voyage of Hope – the History of Odyssey House Australia by Tom Valenta. “Countless people have been part of the Odyssey House story since 1977. They have made contributions as board members, sponsors, mentors or staff. There are also the residents and clients who have mostly benefited from the programs that Odyssey offers…..A number of cameos of former residents and clients form part of this history. If you are interested in hearing more about our history from Tom, please contact the Marketing Office on 02 8796 9970 or email marketing@odysseyhouse.com.au to arrange a speaking engagement (at no cost). To purchase the book ($25 per book including postage), complete this form and a member of the Marketing team will contact you and finalise the purchase. Number of Books * 12345678 Please leave this field empty.